Oh man, sometimes websites are just the stupidest things ever. This would be a great example of said stupid sites. 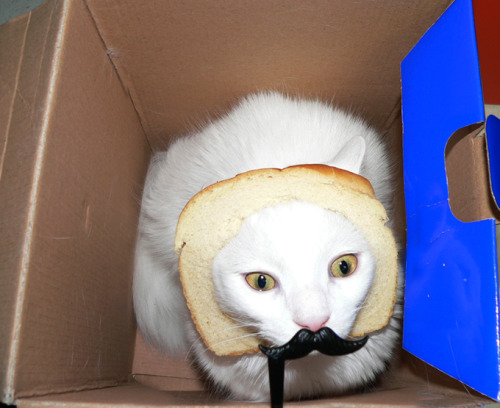 It's called BreadedCats.com, and well, as the name implies, it's cats wearing bread around their heads. Apparently this has become so popular so quickly, they're actually building an app around it (or at least building apps for cats). Incredible. Here are some instructions on how to bread your own cats at home (straight from the site), as well as a couple pictures of the felines indulging in some om noms. 2) Cut a hole approximately 1 inch larger than your cat's head. This trips some people up. 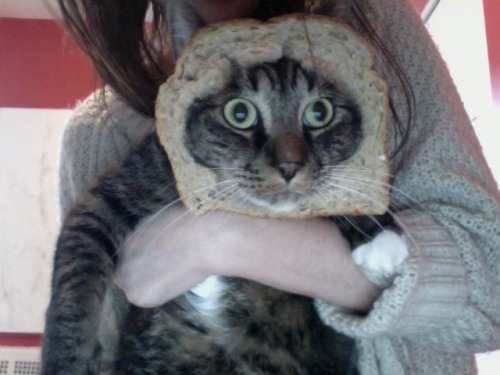 Remember: the bread has to fit around not just the cat's head, but its ears, too. 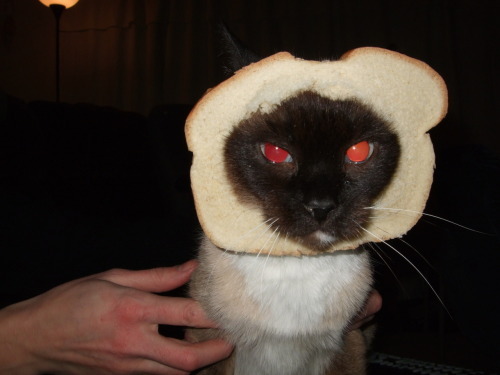 3) Gently place the bread around your cat's head. 4) Take a picture & post it!